This month has absolutely flown by and i'm pleased to report that harmony has been resumed amongst my three little ladies since my last Siblings Project update... well mostly. The Easter holidays had a large part to play in the improvement in dynamics between the girls, giving them the valuable gift of time. They really relished the slow mornings and the chance to relax without the restrictions of our usual weekly routine, governed by school, play school and work. 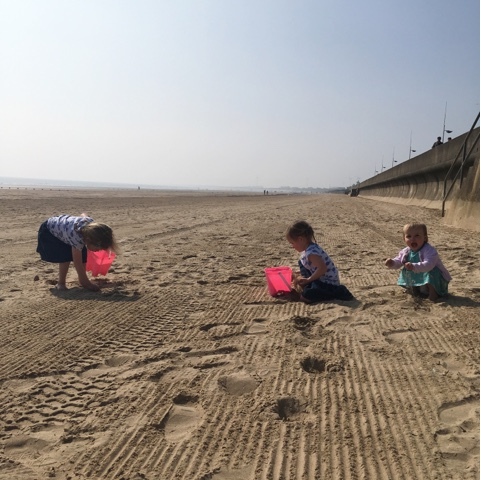 They enjoyed the companionship and the games they hadn't had chance to play for a while, along with simple pleasures that they could work together on like collecting shells and pebbles on the beach and building sandcastles. I took these photos of them 'just being' together on Bridlington Beach during our recent trip to Yorkshire. This vast expanse of space really brought them closer together. 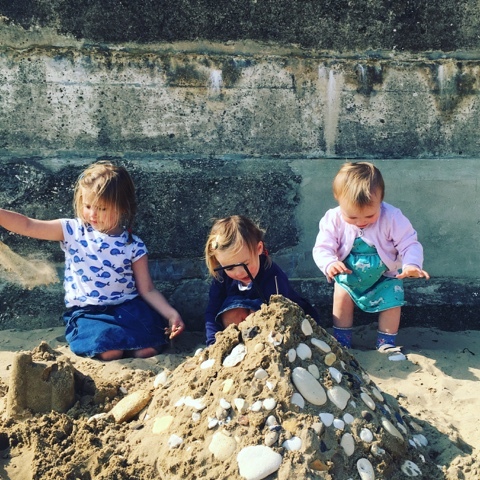 They spent ages filling their buckets, sharing their treasures and working as a team. Sometimes it really is the simplest things that bring the most joy and this was definitely apparent standing back and watching them enjoy these moments. I also noticed how tiny they are when placed in such a big open space, and even though they feel like they are growing up before my very eyes, they are still really little. 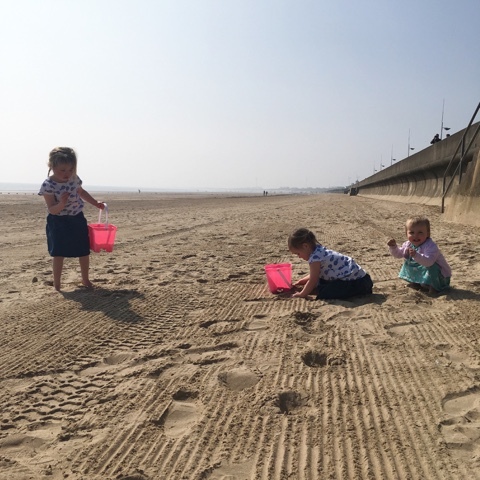 I really love these photos, even though none of them are really looking at the camera, because they capture them in the moment, chatting, playing and exploring as a three in a little self formed rows. 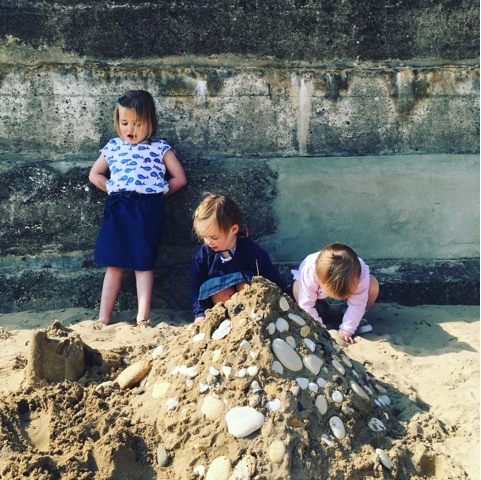 Their castle was a labour of love as they scooped the sand into a heap and decorated it with their finds, each with their own ideas and tasks that were accommodated into the build. When I look back at these pictures I can't help but think that together my little ladies will not only make mountains, but move them. 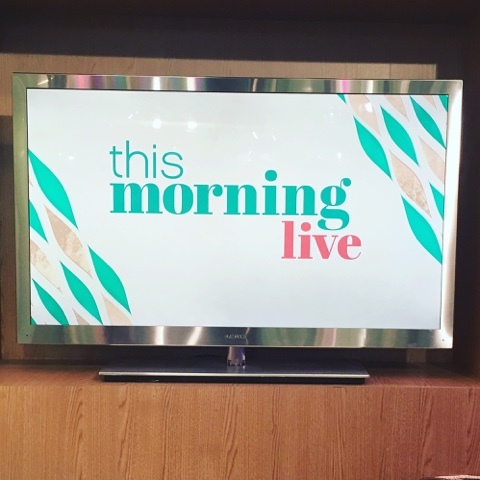 If you're a fan of ITV's 'This Morning', you won't want to miss 'This Morning Live' as the team leave the comfort of their sofa (which having sat on it last week IS extremely comfy) to take the show on the road! The This Morning family are taking their all star line up to the NEC in Birmingham for four whole days from 18th -21st May 2017 to bring you all the favourite bits of the show in person. I was extremely lucky to be invited to the ITV studios to hear all about it last week and can't wait to attend the event itself next month. 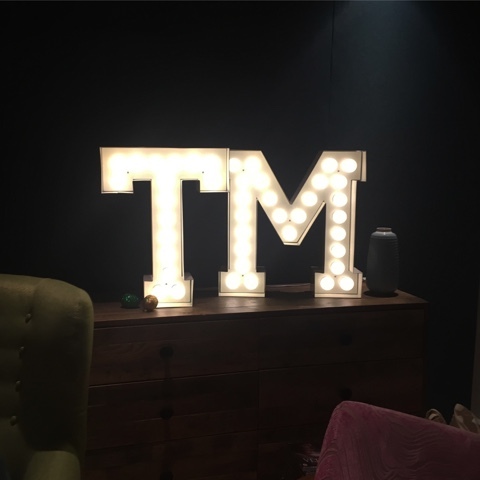 So kind of the This Morning team to put my initials in the Green Room! The team have worked extremely hard to put together the ultimate home, garden and lifestyle show with a jam-packed programme - there truly is something for everyone. It promises to be everything you love about This Morning outside of your TV. The team are excited to be taking the show outside of your TV for four whole days! Each area will have a live stage with demonstrations, Q&A's, interviews, expert advice and talks. For example there will be cookery demonstrations on the food and drink stage from celebrity chefs giving you the chance to learn new skills. 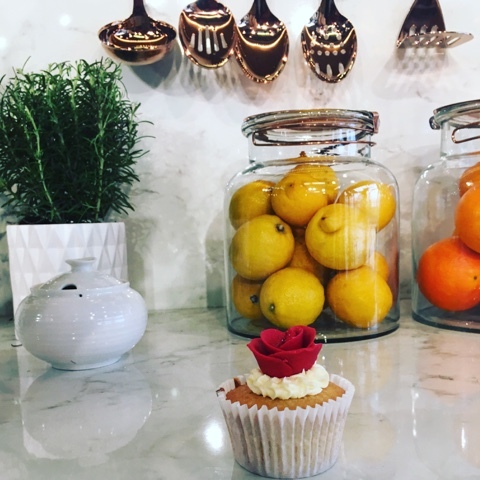 The very lovely Charlotte White gave us a cupcake decorating masterclass last week and taught us in minutes to make roses from icing which I can't wait to try out at home with the girls. I can't wait to try and replicate these fondant roses at home, they were so easy - shhhhh! 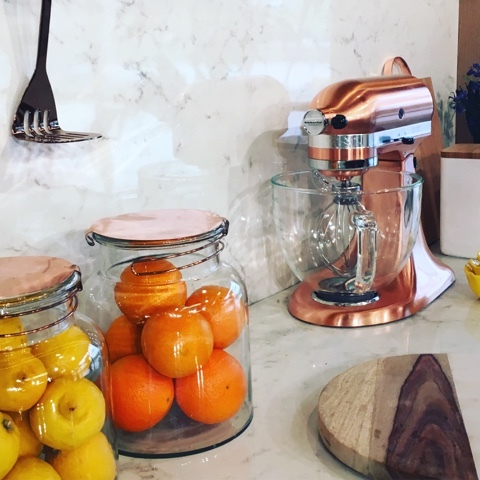 The This Morning kitchen set was so stylish, I had never considered copper accessories before but I am now on the look out for some of my own as they looked incredible, particularly the copper Kitchen Aid which is now top of my kitchen wish list! This Morning home inspiration.... I NEED this Kitchen Aid! There will be plenty of opportunity to shop at the event with a dedicated exhibitor area with some incredible brand partners. 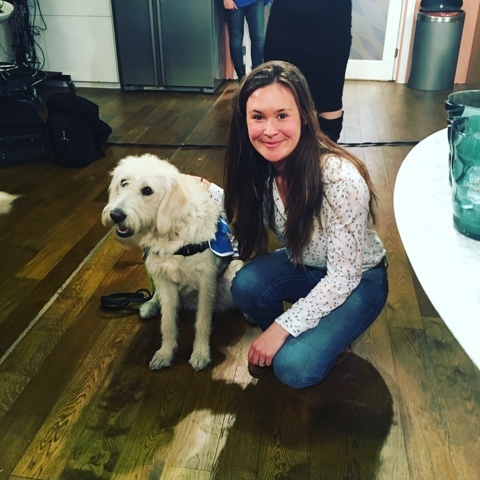 They'll also be the chance to meet your favourites from This Morning including Guide Dog puppy Luna who is absolutely lovely and keen to say hello to her fans in the Pets Corner! When I asked the presenting team what they were looking forward to most about taking the show out of the studio they commented that they can't wait to meet the viewers, to interact with them and give us a glimpse of life behind the scenes, including the bits you don't normally get to see during the ad breaks! It was a genuine pleasure to meet the team who are all just as you see them on the screen. 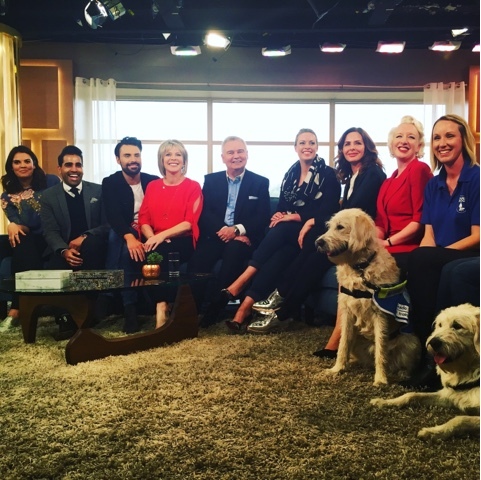 Thank you so much for having me ITV, and a big thank you to Netmums for inviting me along. 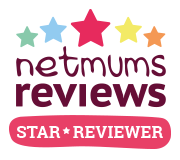 Netmums are proud to be one of the event partners and will have a space to sit and put your feet up in-between shopping and stage shows with a toddler area for your little ones and a baby feeding room. The event team have got absolutely everything covered! 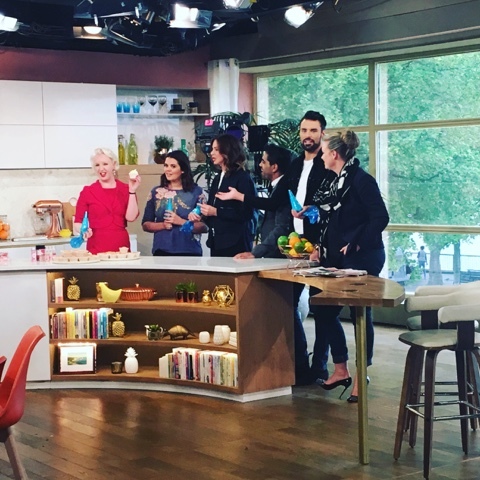 If you'd like to go to This Morning Live for a fab day out and experience all the fantastic things on offer you can purchase tickets to the show HERE. Maybe see you there! 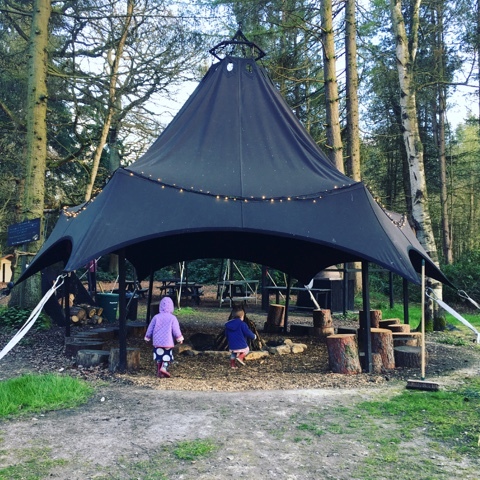 If you're looking to get away from it all and escape to a magical woodland getaway we'd highly recommend the Jollydays Glamping site in beautiful Yorkshire. 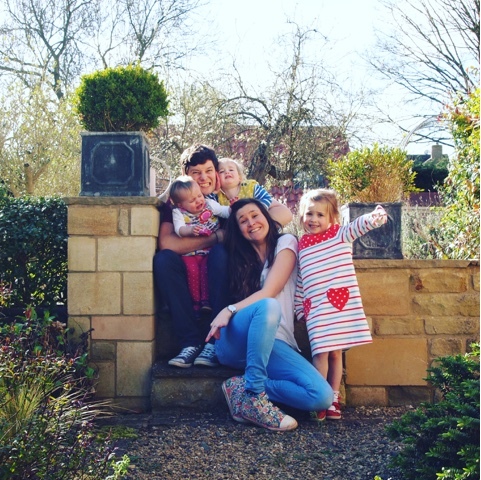 It's ideal for a cosy couples retreat, a weekend away with friends and absolutely perfect for a family adventure. From the moment you drive into the Jollydays woodland you feel relaxed in the peaceful surroundings, with just the sound of the birds and the trees swaying. 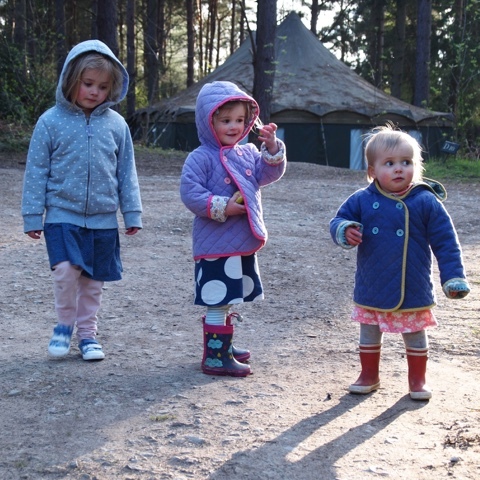 Nestled within the woodland are several types of glamping tents which vary in size and amenities. 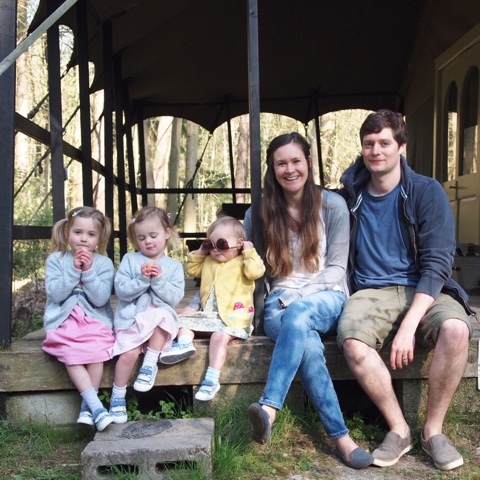 We stayed in a woodland lodge which comfortably sleeps 6 and was equipped with a kitchen unit, a bathroom, beds, sofas, a table and a huge log burner to keep you cosy at night. 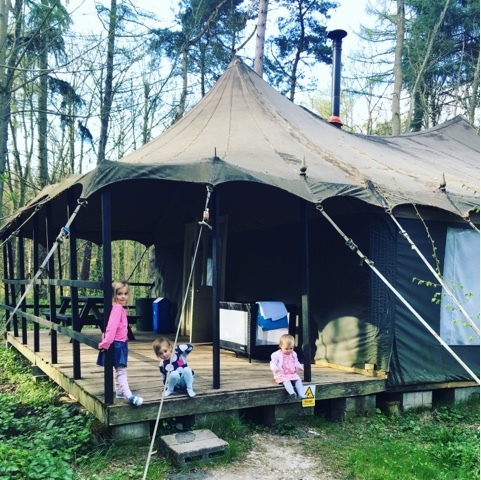 With this set up it means you can have the adventure of camping but with hot running water, cooking facilities and comfort giving the experience the aptly named title 'glamping'. 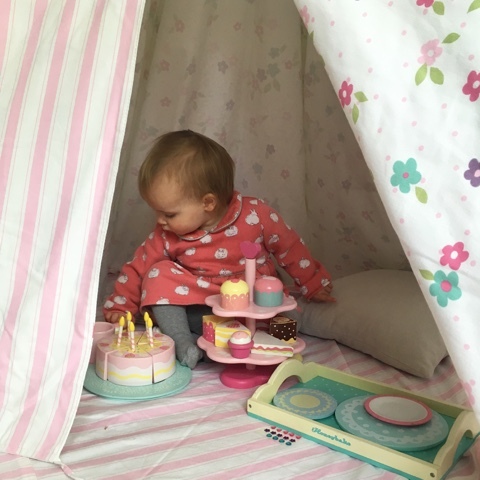 With a young family having these things without having to leave the tent was fantastic, there was also a travel cot and highchair for us to use which were super handy. The lodge is beautifully decorated and comfortable with gorgeous rustic features, blankets to cuddle up in and super comfy, warm beds to fall into after a day exploring. 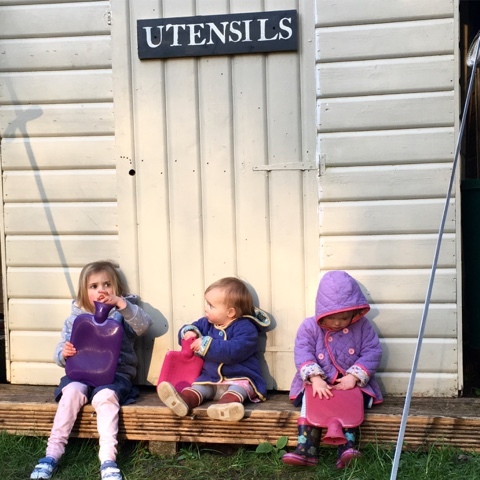 There are lovely touches throughout the site including a utensils shed for any extra bits and bobs you might need such as hot water bottles to snuggle up with at night when it gets cool. 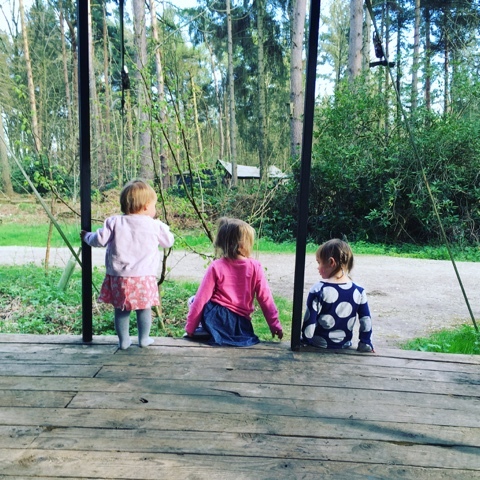 The woodland is a wonderful place for the children to just be children and explore, to play with sticks, to run, to jump and climb. 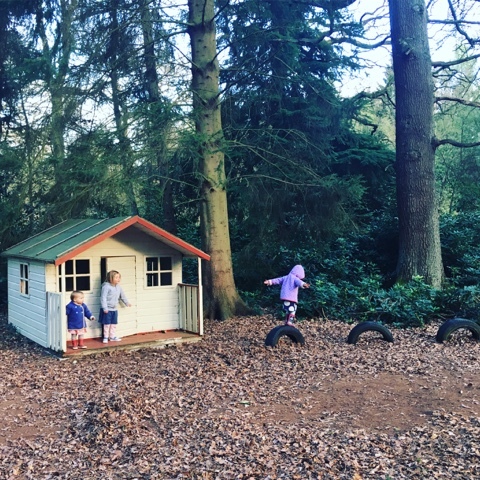 The site is very family orientated with a wonderful, simple play area in a clearing with a little play house and a tyre swing. The girls spent ages playing here, collecting pine cones, rolling around in the leaves and making believe. 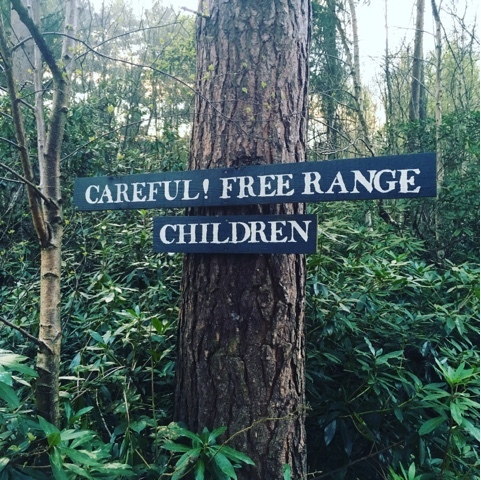 A place where children can be free range - so perfect for us! 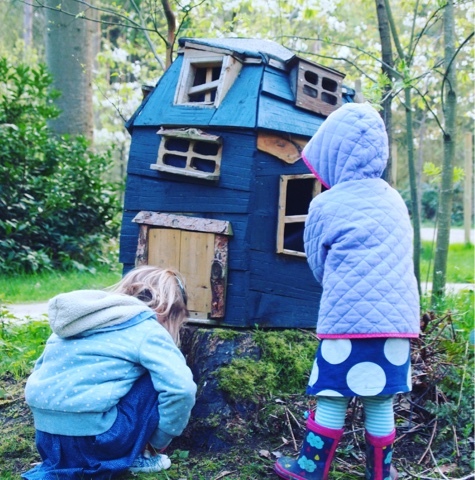 One of their favourite things was this beautiful little house which really captured their imaginations and immediately became a 'fairy house'. They knocked on the door each time they passed it, hoping to catch a glimpse of one. 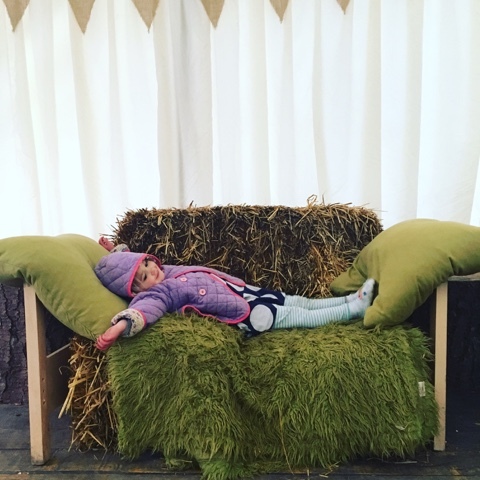 Adults are not forgotten at Jollydays with a beautiful communal 'tea tent' stocked with all sorts of tea and coffee, a kettle and stove with fairy lights and straw bale sofas to relax on. 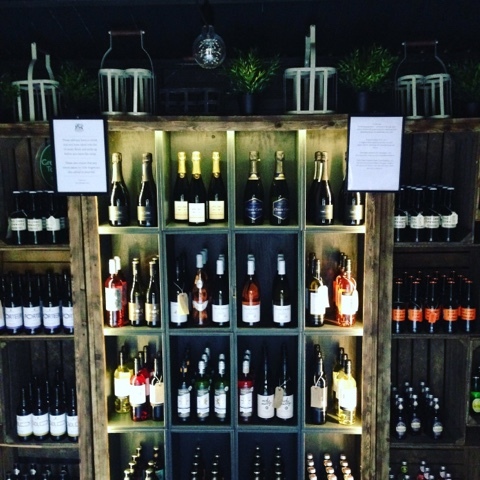 There is also an incredible honesty shed stocked with treats like wine, beer and marshmallows for toasting on the campfire. Once we had snuggled the girls into beds we sat by our log burner with a glass of wine and a local ale listening to the trees gently swaying and owls hooting, it was the most relaxed we had felt in ages. Miss Tibs relaxing in the tea tent! Toasting marshmallows was one of the many highlights of our stay at Jollydays. 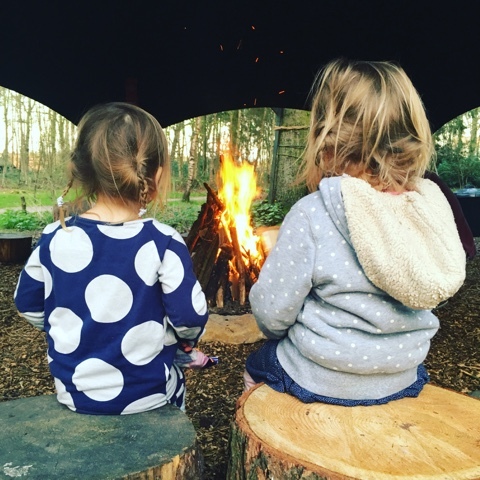 The girls couldn't wait to run down to the communal campfire area each evening, watch daddy light the fire and sit on logs waiting for it to settle down before toasting and enjoying warm, gooey marshmallows together. There was no rush to be anywhere, we let bedtimes go out the window and just enjoyed each others company. Each tent also has it's own bbq for cooking and we started our days with bacon and sausage sandwiches in the fresh morning air. If you don't want to be cooking there is a fantastic local catering company who can deliver all sorts of delights right to your tent. 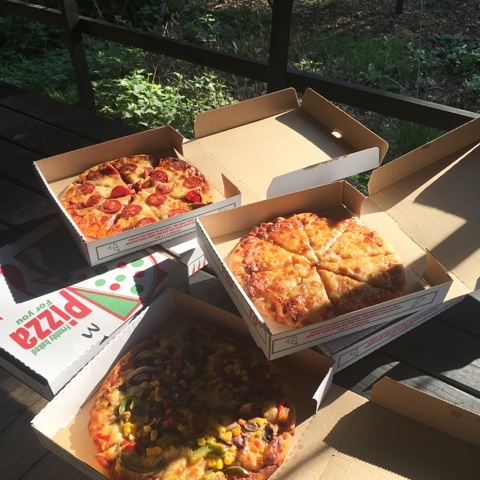 One evening we ordered homemade pizzas and sat outside on the tent veranda on the picnic table eating them in with the woodland around us, they were so yummy. We also treated ourselves to afternoon tea one day which was totally divine, sandwiches, cakes galore, tea and milkshakes served in pretty vintage china - it was absolute bliss. Homemade pizza delivered to the tent! 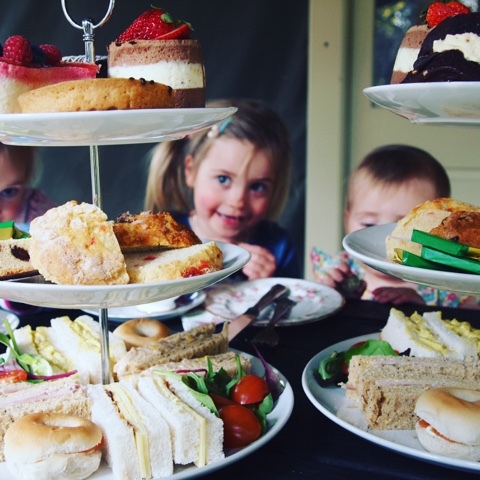 The most amazing afternoon tea enjoyed in the woods! We had an absolutely wonderful stay which gave us the most valuable thing of all - quality family time, just being together, giving each other our full attention and making wonderful memories together. 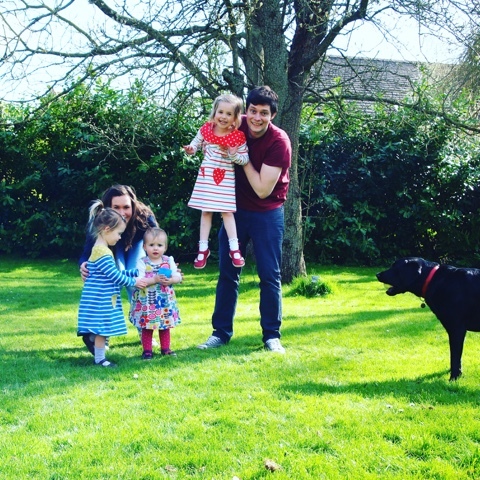 Holidays with children can often feel like just a change of scene but this really did feel like a break and every single one of us enjoyed it immensely. 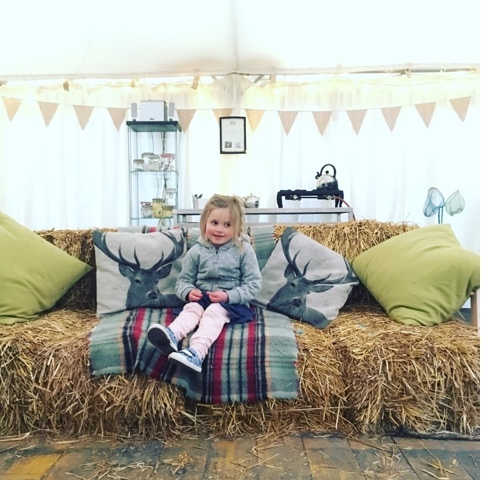 We absolutely adore our teepee from the Great Little Trading Co; it's such a magical space for children to play in. 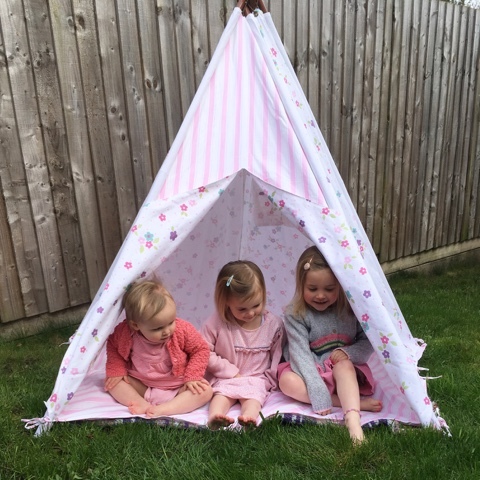 The magic of a teepee is that it can be whatever your little ones want it to be, the girls use ours for so many things. It's their own little space with the only limit being their imaginations. 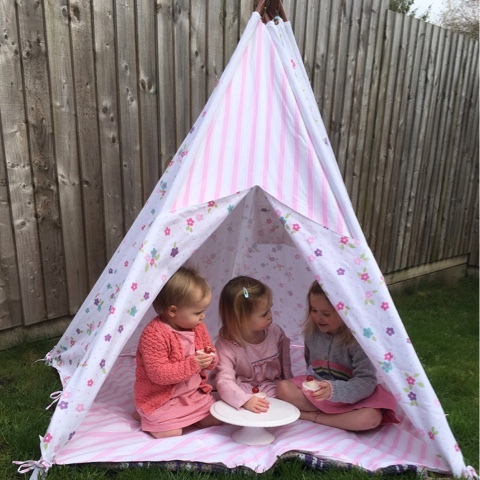 It works brilliantly as a tent in the garden on spring and summer days, offering a spot of shade, somewhere to play 'house' in, or just to enjoy an afternoon snack in. It's so easy to pop up and folds away so neatly that we store ours behind the sofa ready for when we want to play with it. The base also easily un-ties and is washable meaning it can go outside and inside. 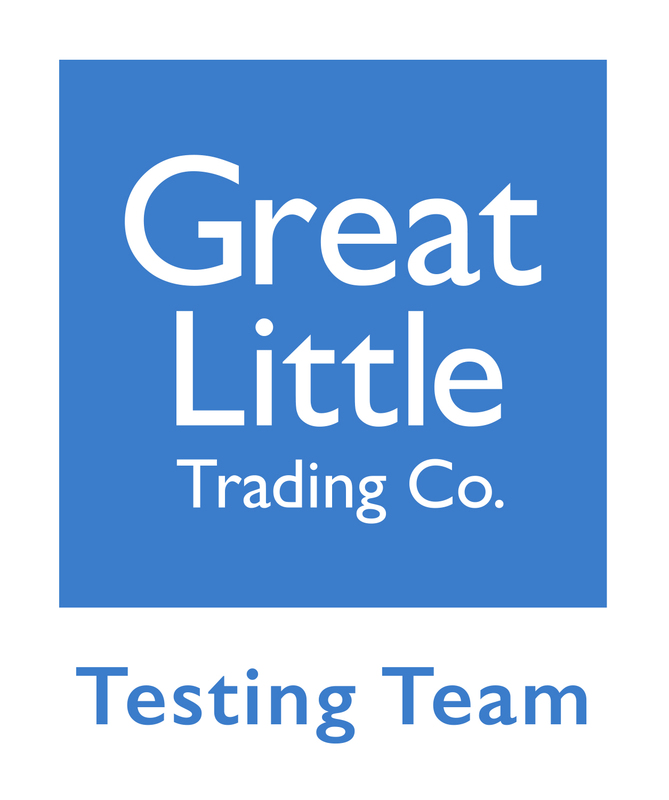 Great Little Trading Company are known for fantastic quality and functional design and their teepee is no exception. The fabric used is a perfectly weighted cotton duck which comes in a range of designs. 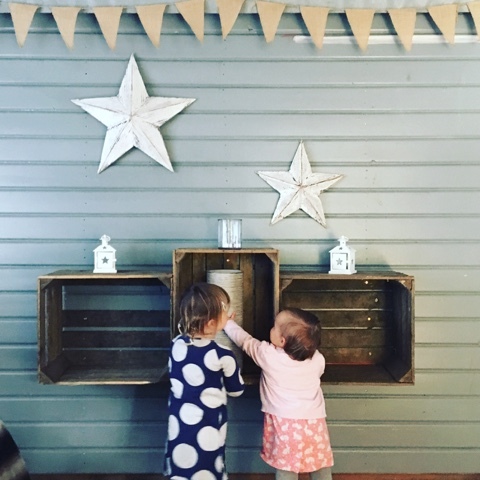 I love this pretty Blossom design, it looks beautiful in the playroom and in the garden making it an inviting space to play in and to have in your home. There are some thoughtful design features which add extra play value like a window which Velcro's open and shut an entrance that can be closed to make it cosy. There is plenty of space inside, with room for several children to play, along with anything they might take in there. 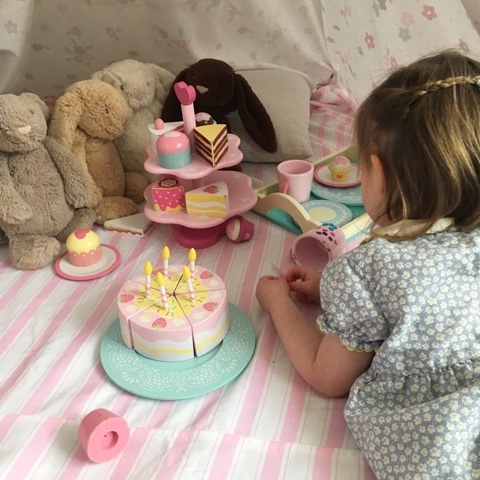 It's the perfect place for an extra special tea party for example which the little ladies quite often set up using their play food and tea set. 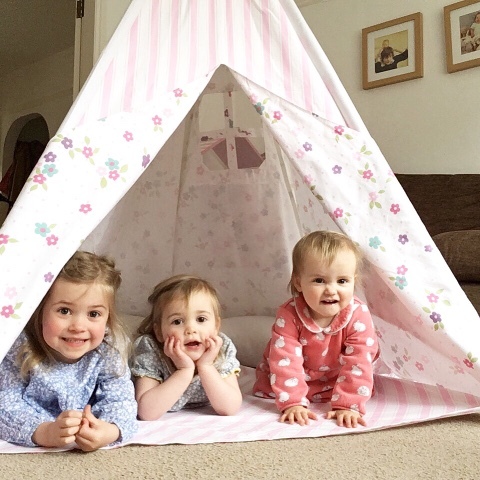 It's also a lovely place to hide away and have some quiet time, the girls will quite often ask for the teepee up in the living room, particularly on a grey rainy afternoon to snuggle up in. Miss Tib's loves to put as many cushions in as she can find to make it extra cosy and shut the curtains, peeping out occasionally. It's wonderful to hear the giggles from inside as it becomes a 'palace', a 'treehouse', a 'fairy house' or 'fort'. 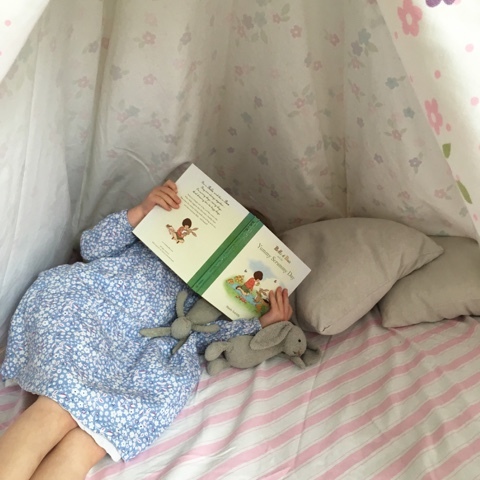 I'll regularly find one of the girls curled up inside with a book making it a magical kind of reading nook. It's a really nice space to share a bedtime story together, all cuddled up without any distractions. 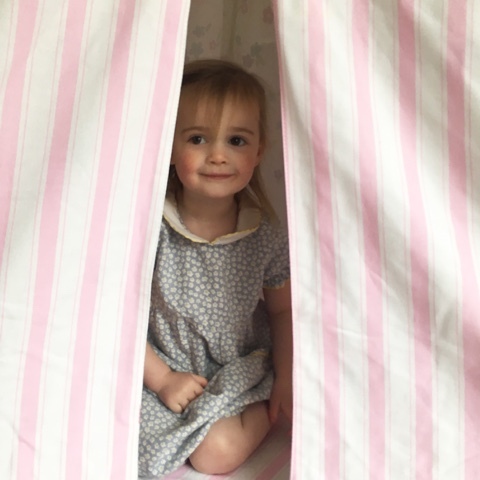 One of our favourite things to do is to watch a film together in the teepee, it makes it extra exciting and special and the novelty of it is so enjoyable. It's also fantastic when friends come to play, providing a super fun hide and seek location or an indoor den. 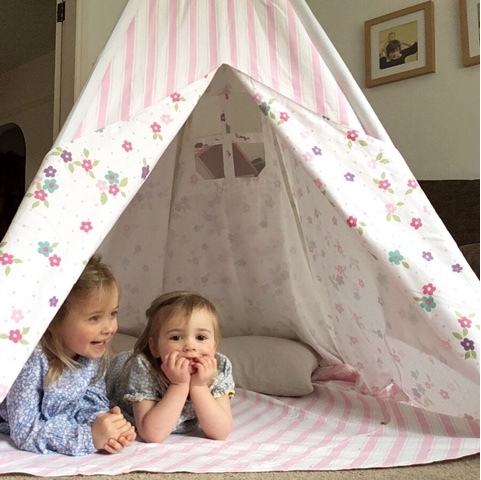 Given that a teepee can be used for so many things it's a fabulous investment. Ours has seen hours and hours of play value and it's something I know the girls will enjoy for a while to come. 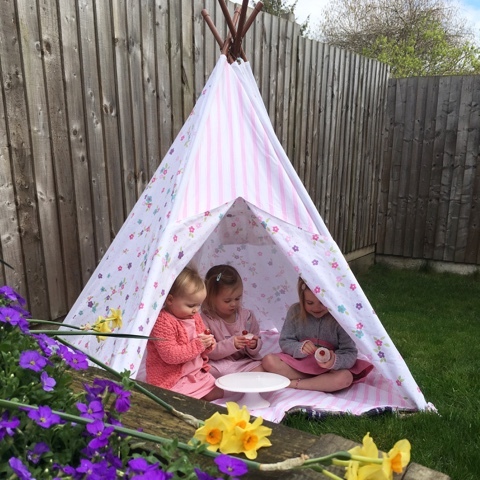 You can find more details about GLTC teepees HERE. It really is a truly magical space - childhood simplicity at it's best. 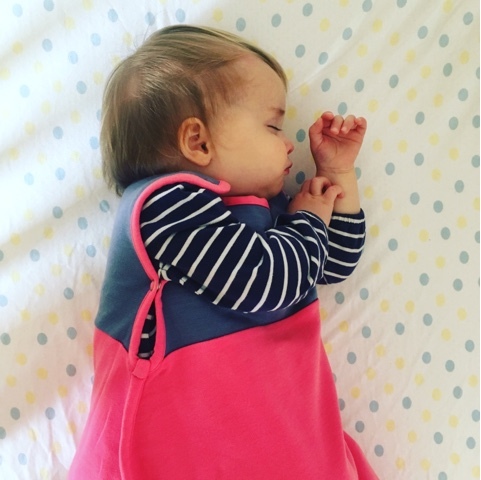 It's fair to say that we have tried several different baby sleeping bags over the years and none have come close to the Antipodes Merino Sleep Bag. The quality is outstanding, making it super comfortable and the magic of merino wool makes it a sleeping bag that you can use all year round. If you haven't heard of Merino Wool before it's time you got acquainted with it because it's truly incredible stuff. Warm in winter and cool in summer, naturally soft and hypoallergenic, naturally antibacterial and providing warmth without the bulk - making it the perfect thing to snuggle into bed in. The raw wool comes all the way from New Zealand and is then transformed into a beautifully designed sleeping bag with so much care and thought. My favourite thing about this sleeping bag is that can be used from 3 months (once your baby weighs 5kg/11lb or more) all the way to 24 months; meaning it will grow with your child. 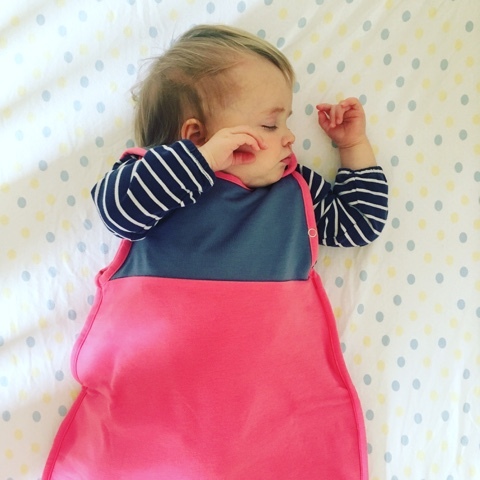 There are poppers under the arms for when your baby is smaller to keep the sleeping bag in place and plenty of room length wise for their legs as they get longer. I also love that it can be used all year round. 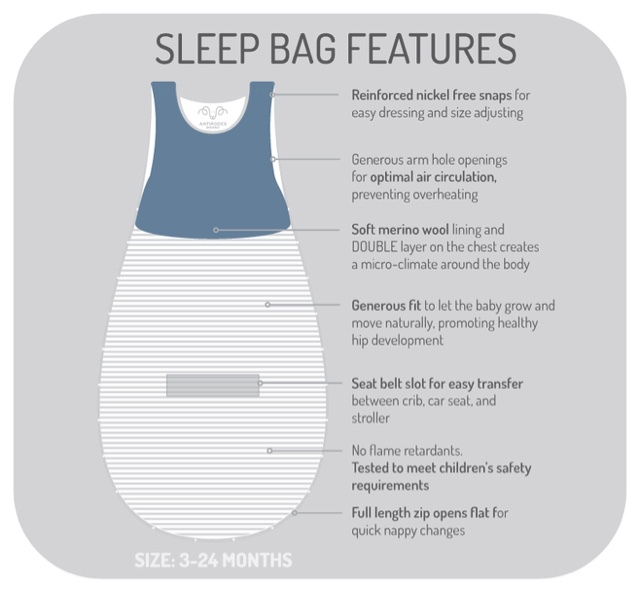 There is no need to worry about the tog rating or buying sleeping bags for different seasons as the merino wool cleverly helps regulate your baby's temperature because it's a natural insulator. 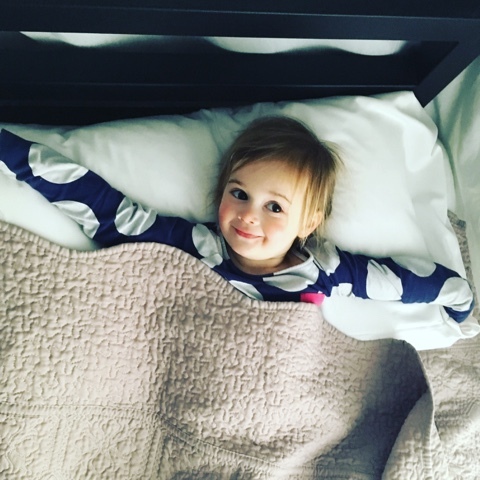 When it's cold merino traps warm air next to the skin, and when it's hot, it releases excess moisture and heat, ensuring your little one is always comfortable. You just need to ensure you dress them appropriately for the room temperature, a handy guide is included with the sleeping bag which is really helpful. Another huge plus is that being naturally antibacterial you don't need to wash it often, but when you do it can go in the washing machine and even the tumble drier if it needs to. Miss Dot seems ever so comfortable in her sleeping bag. She's quite a wiggler at night and rolls around a lot and doesn't seem at all restricted. At 19 months old there is plenty of space for her in the sleeping bag still so we'll be using it for a long time yet. One of the features I'm yet to test out, but one I think is a great addition, is the seat belt slot - not something you need to use often but handy for when you do. We drive home from days out, family get togethers or holidays at bedtime wherever we can to make the trip easier and there is always a bit of a 'hope for the best' moment as we make the transfer and try and fasten Miss Dot into her sleeping bag. Last time she woke up while we were faffing around trying to do up the zip in the dark and didn't resettle for quite a while! This will eliminate that problem. The team at Antipodes Merino have worked hard to make their sleeping bags as affordable and accessible as possible so as many people as possible can enjoy the benefits. Although slightly higher in price than other sleeping bags you may have come across, this sleeping bag does the job of 2/3 sleeping bags which would equate to essentially the same price. It is superb quality, in fact in 5 years of snuggling my babies to bed I haven't come across better and this combined with the amazing features of merino wool make it absolutely worth the investment. You can purchase your very own Antipodes Merino sleeping bag on amazon HERE, it also comes in a beautiful blue and white stripe design. I am delighted that Antipodes Merino have kindly given me a 20% Amazon Discount code for you - simply enter 3LLadies at checkout. 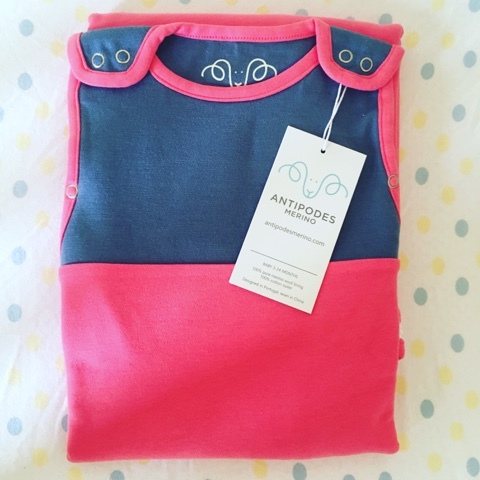 You can find out more about Antipodes Merino and view the rest of their range on their website. March has been a month of playing 'ships in the night', with Oli working every weekend and being off on the days I work and the girls at school and play school we haven't had much family time at all. For that reason it's been quite a difficult month and we are all craving some time as a five. Despite this it's been a productive month. I started my new working pattern of 3 longer days rather than 4 slightly shorter days and that has worked so much better for the family. When I'm at work, I'm at work, when I'm at home I'm at home and feel like the balance is much better -although I'm pretty exhausted as is Oli! 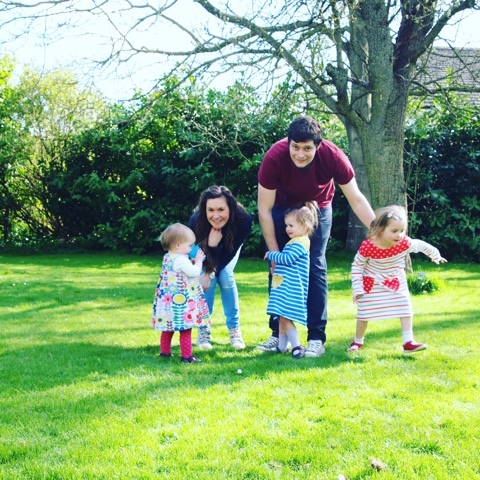 The children are now only in childcare for one day and have adapted really well to the new arrangement and love their settings which is all you can ask for really. Miss Dot even told me to 'go away' when I picked her up on Monday! The hard work is paying off though and has meant that this month we have been able to buy a new car which will give us much needed boot space and the girls seats can all fit in a row on the back seat. We have also designed and signed off our kitchen project which will be starting in July! We are so ready for April and so excited for all that it brings - and I'm not just talking about the copious amount of chocolate! 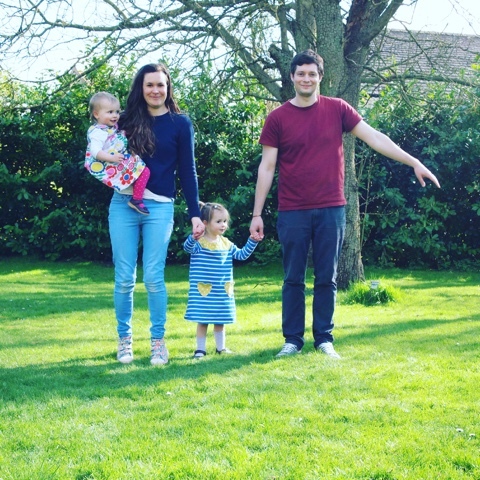 The weather is taking a lovely sunny turn which means more time outside which is good for all of us and when we're at our best - adventuring in the sunshine. 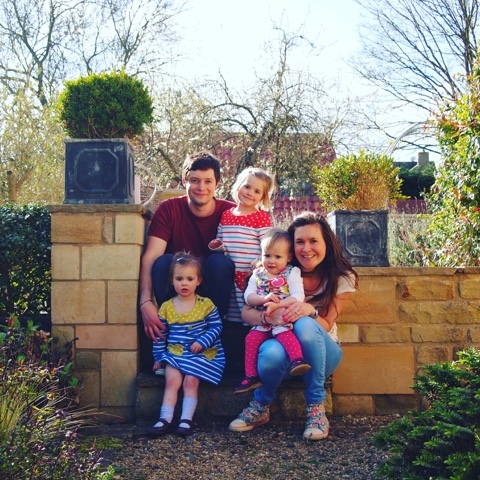 It's the Easter holidays so the girls are all at home together with us for 2.5 weeks so Oli and I have both booked some time off to spend some time as a family. We have a short trip away with the girls planned to beautiful Yorkshire and then at the end of the month Oli and I are escaping for a a night away together - the last time we did this was about 2 years ago! All in all, April will be a very different month to March.